New Colgate Total®: Periodontal disease and caries are both preventable in their early stages (Gingivitis and White Spot Lesions, respectively). Reducing periodontal disease and caries offers societal benefits. Reducing the incidence and prevalence of caries and periodontal disease. Attention has focused on controlling bacteria in dental plaque, while the value of Whole Mouth Health has been underestimated. 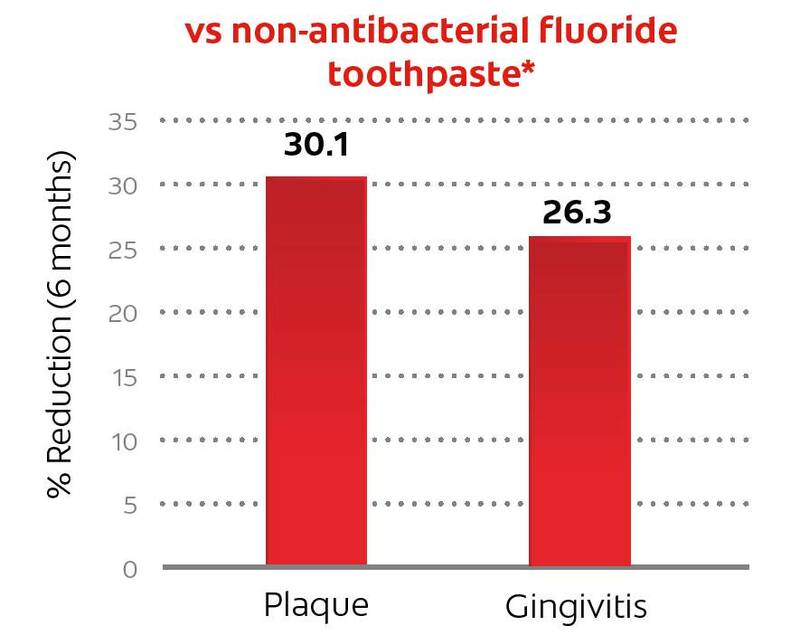 Regular fluoride toothpaste* is not enough to achieve Whole Mouth Health - it only protects hard surfaces with fluoride. Periodontal disease and caries are both preventable in their early stages (Gingivitis and White Spot Lesions, respectively). Yet, despite the efforts of the dental profession to improve oral hygiene, these diseases continue to be a public health concern, with up to 50% of the global population estimated to be affected.1,2 Moreover, patients are looking for guidance and support from their dentist to make sure they are being as proactive as possible for better oral health. Reducing the incidence and prevalence of caries and periodontal disease has the potential not only to improve health and wellbeing in the general population, but also to reduce the growing financial pressure on publicly funded healthcare systems.3 The economic burden of these untreated diseases is likely to increase due to population longevity which is an important aspect to policy makers.3,4 Attention has focused on controlling bacteria in dental plaque, while the value of Whole Mouth Health has been underestimated. The concept of Whole Mouth Health is based on the importance of achieving more than just healthy teeth – all oral tissues need to be healthy. Teeth, the hard tissue, account for only 20% of oral structures, while the soft tissue, tongue, cheeks and gums represent the 80% majority. 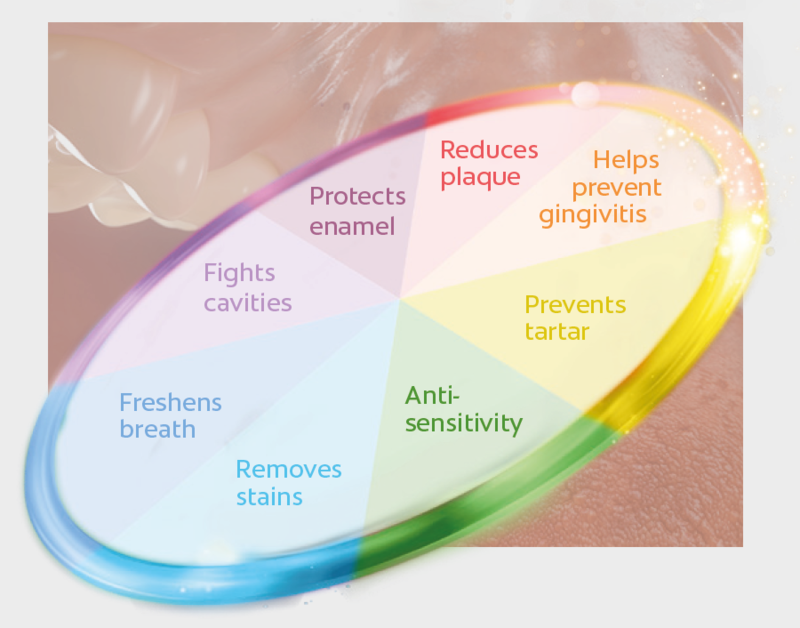 To retain a healthy mouth, protection of all surfaces is needed. Bacteria can colonize on the teeth, initiating the formation of dental biofilm, but they also adhere to soft tissues in the mouth. From here they recolonize on the surface of teeth that have been brushed, rebuilding the dental biofilm causing diseases to reoccur. 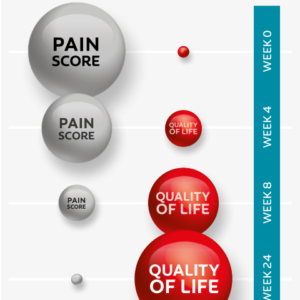 Protecting the soft tissues prevents adherence of bacterial biofilm and so protects the soft tissue and hard surfaces from bacterial colonization. Regular fluoride toothpaste* is not enough to achieve Whole Mouth Health – it only protects hard surfaces with fluoride. Regular fluoride toothpaste* does not protect the hard surfaces from repopulating with bacteria harbored in the soft tissues. The route to improving Whole Mouth Health is to prevent the build-up of oral biofilm and achieve good bacterial control on all oral surfaces, both hard and soft tissues. The best way to achieve this is having an everyday prevention routine with the daily use of a toothpaste with proven protection against bacteria – a toothpaste that can strengthen the mouth’s natural defenses. 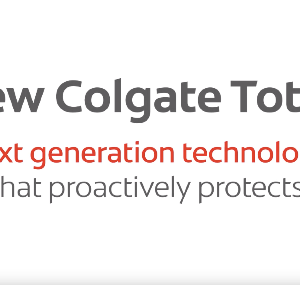 Decades of research have led to the development of a patented formulation for new Colgate Total®. This advanced toothpaste helps achieve Whole Mouth Health with a new technology that works with dual zinc plus arginine to provide proactive protection to the whole mouth, and help prevent the most relevant oral diseases and conditions. 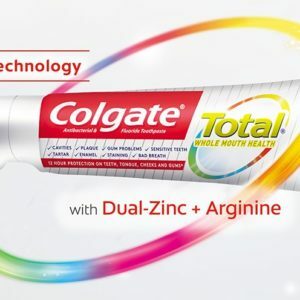 New Colgate Total® is the advanced way to achieve Whole Mouth Health by proactively controlling and protecting against bacteria on 100% of mouth surfaces, Teeth, Tongue, Cheeks and Gums. 1 Nazir MA, Int J Health Sci (Qassim). 2017 Apr-Jun; 11(2): 72–80. 2 Kassebaum NJ, Journal Dent Research 2015, Vol 94, Issue 5. 4 Tonetti et al, J Clin Periodontol 2017;44 (Suppl. 18): S135–S144. 5 Manus L et al, J Clin Dent, 2018;29 (Spec Iss A). 6 Prasad K et al, J Clin Dent, 2018;29 (Spec Iss A). 7 Delgado E et al, J Clin Dent, 2018;29 (Spec Iss A). 8 Lee C et al, J Clin Dent, 2018;29 (Spec Iss A). 9 Hu D et al, J Clin Dent, 2018;29 (Spec Iss A). Posted in EduForum, We Care! and tagged advanced toothpaste, and gums, caries, caries and periodontal disease, cheeks, cheeks and gums, controlling bacteria in dental plaque, dental biofilm, dual zinc plus arginine, for Whole Mouth Health, gingivitis, new Colgate Total®, next generation Colgate Total®, Next Generation Toothpaste, oral biofilm, ordinary non-antibacterial fluoride toothpaste, periodontal disease, reduce plaque, reduce plaque and gingivitis, Reducing periodontal disease and caries, Regular fluoride toothpaste, Superior plaque reduction, Superior reduction in gingivitis, teeth, tongue, toothpaste efficacy in caries prevention, TTCG, White Spot Lesions, whole mouth antimicrobial protection. Bookmark the permalink.